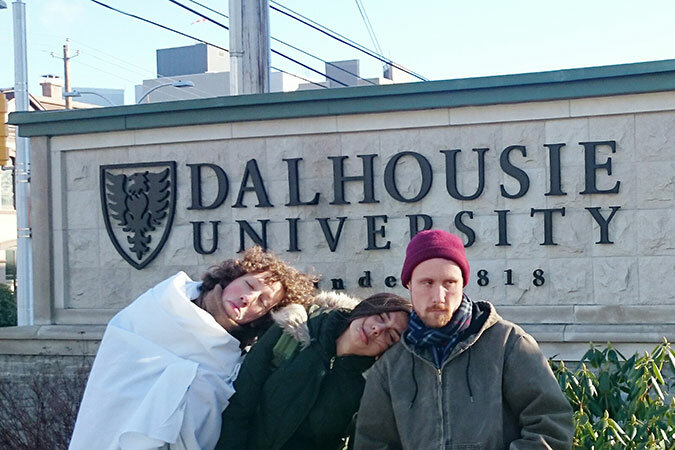 Dalhousie University is aiming for better international recognition, and launching a project to get it now. In 2010, Dal was in the top 200 of the Times Higher Education ranking, which evaluates colleges all over the world. Recently, however, it has been in the top 250. The project is recruiting members who can be in charge of it. It is called Inspiration and Impact: Dalhousie Strategic Direction. “It is very early days in the planning process and we are working as a team to explore this area,” says Mary Jane Jennings, an executive director at Institutional Analysis & Research. “Dalhousie is one of Canada’s top research universities, conducting $140 million in research in each with hospitals, universities, industry, governments, non-profit agencies and other universities around the globe,” says Dal spokeswoman Nikki Comeau. Indeed, Dal is not known well by many people. The university believes there is a gap between its academic achievement and perception. Kyle Mutrie grew up in Ontario and studied general arts at Waterloo University. Now he is an English teacher in British Columbia. Although he has been living in Canada, he isn’t familiar with Dal. Ikuho Maeda, a Dalhousie student from Japan, didn’t know the school before she considered a transfer from Lethbridge College in Alberta. Maeda wants her university to be more famous in the world because she believes it will help her. Dal wants to go back into the Top 200 as a world leading university. The goal is to regain its honour. That is what students hope too.